Before entering the NFL for an amazing Professional Football career Bergey’s College Football career was just as impressive. He graduated from Arkansas State University in 1969 with a BS in Physical Education, and while there he became an All-American and was voted the Top Player in Arkansas State history by the fans. He set ASU records for best tackling average in a season, most fumble recoveries in a season, most tackles in a game, most tackles in a season, and most career tackles. He played in three post-season All-Star games while with ASU, he was selected All-Southland Conference three times and to the Southland Conference All-First Decade Team. Bergey’s number 66 jersey has even been retired by ASU. 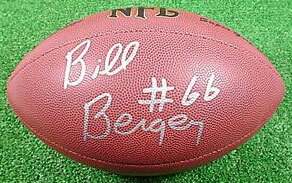 In 1969, Bergey entered the AFL draft, and was picked in the second round by the Cincinnati Bears. In his first year with the Bears he was named an AFL All-Star, and started for the team for five years. In 1974, he was traded to the Philadelphia Eagles where he would later end his career. 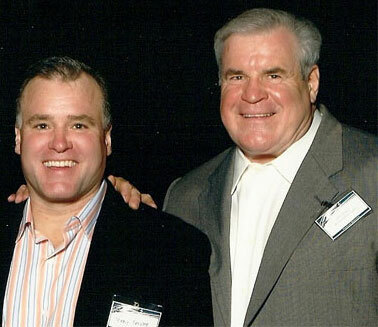 While with the Eagles, Bergey played an important role in the Eagles’ success, most notably their trip to Super Bowl XV in 1981. Also with the Eagles, he was a four-time All-Pro, set the NFL record for most interceptions by a linebacker, earned the Eagles MVP three times, and in 1988, after a 1980 retirement, he was inducted into the Eagles Roll of Honor. Currently he lives in Chadds Ford, Pennsylvania, and does pre and post game radio and television commentary for the Eagles during the NFL season. Bill’s amazing football career and even better personality make him the perfect fit for your next corporate function or private event. Mr. Bergey is the best crowd pleaser! He will make your event something everybody will remember!